Christmas is coming and it certainly is coming fast so for the next 7 weeks it is going to be all systems go for everyone to get themselves prepared for it. There is always a long list of things that need done in the run up for adults and sometimes we forget something so we have already started getting prepared for Christmas and the very first thing on our list of things to do was to send our letter's to Santa off. 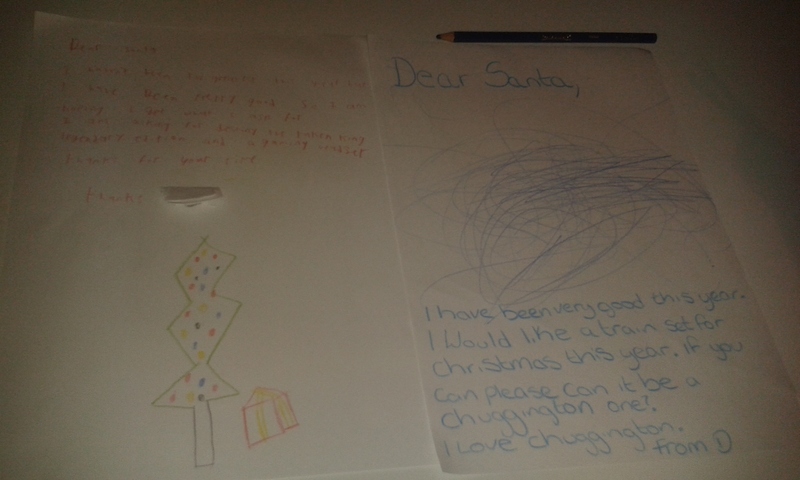 If you live in the UK there is a way to send a letter to Santa and what is even better is that you will receive a reply! The service is run by Royal Mail and is very simple to complete your letter and get it sent off after which is just a waiting game. The only catch is you do have to make sure you have sent it off with enough time to have a reply. The letter must be received by The Elves and Santa before the 6th December 2015. 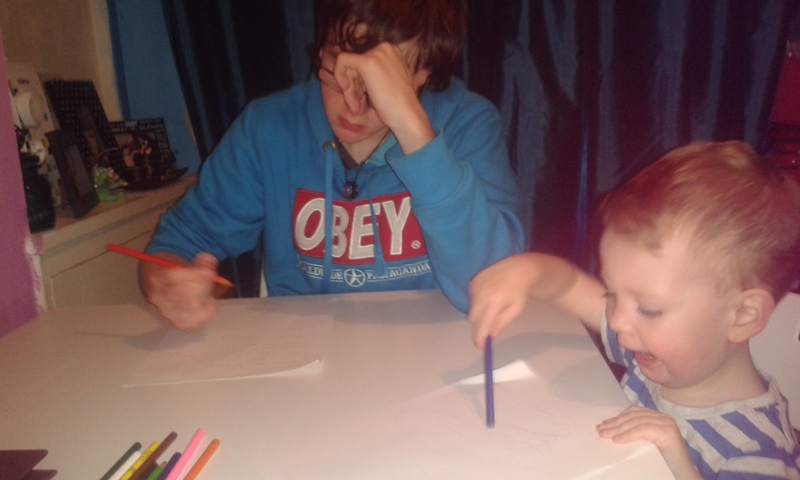 Okay so we got to writing our letter the other night before bed time and to get started we got some coloured pencils and plain white paper. Uncle L knew what he had wanted to say to Santa and D really just wanted to Draw although this did start out as trying to write the letter e on his paper. In the end I let D draw a big picture for Santa which I then translated for Santa to be able to read by asking D what he wanted for Christmas. 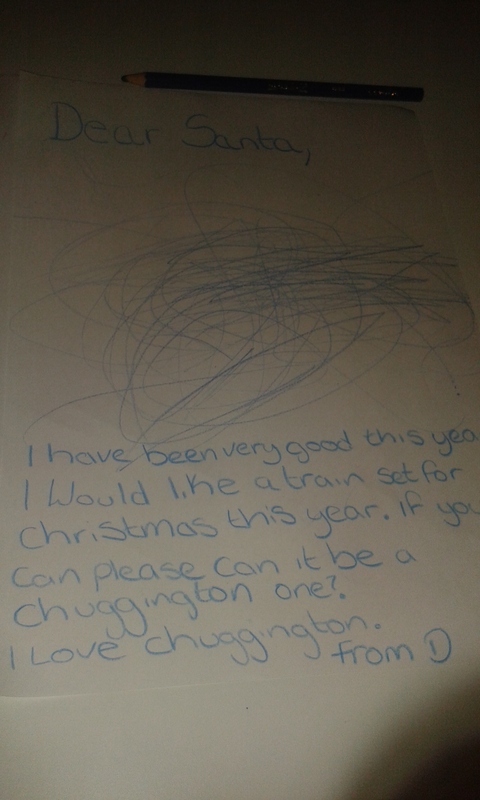 The only reply I could get was Choo Choo, I want train, so that is what I wrote down to ask Santa for D. Uncle L was really honest in his letter and although he hasn't had the greatest behaviour in the last year this is something he is really working on and we have seen some great improvements on this in the last few months. Here is a closer look at Uncle L's Letter. Uncle L wants Destiny The Taken King Legendary Edition and a gaming headset. 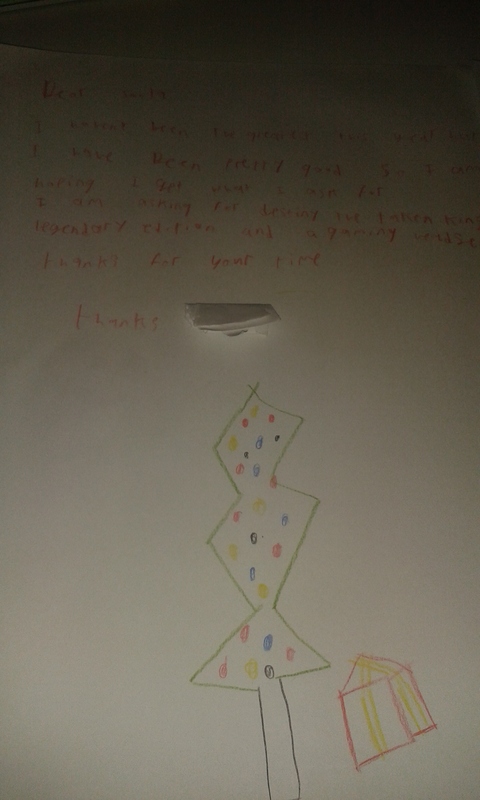 Here is a closer look at D's Letter to Santa and his lovely picture that he drew, D has asked for a train set and he would like a Chuggington one if Santa can get one. Once we had our letters written it was time for me to take over. You need to make sure you provide the child's name and address to ensure Santa can send his letter back to you. I added ours to the back of our letters and wrote a small note on the front as to where to find the address. Once both letters had their names and addresses added I popped them inside an envelope. 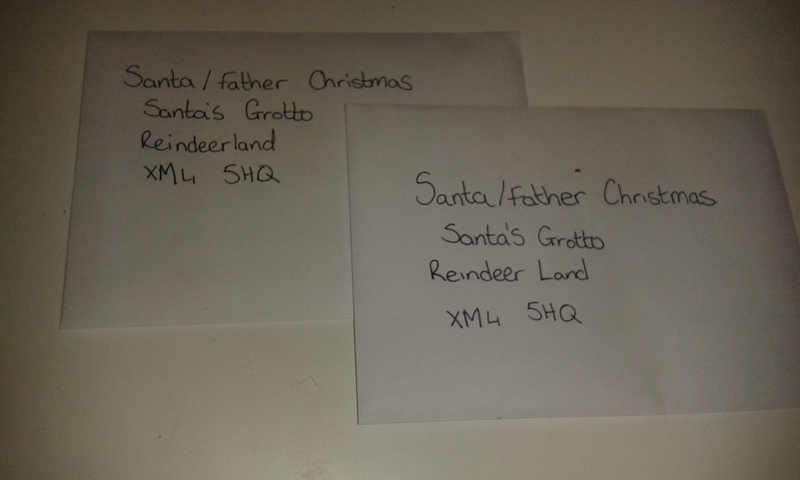 On the envelope I added the address which is : Santa/Father Christmas, Santa's Grotto, Reindeer land, XM4 5HQ. The last step is to add a stamp to your envelope and send it off. Finally just wait for your reply from Santa!